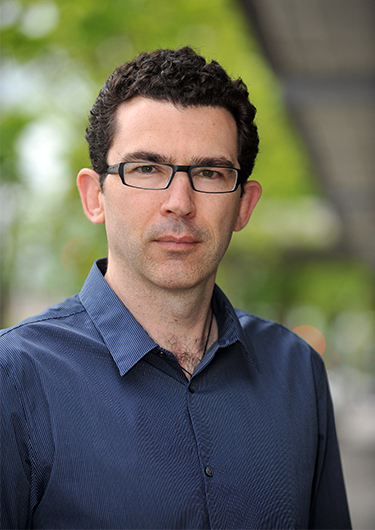 GIS is an integral tool for cities. It enables efficient and effective planning and implementation across all city departments. GIS tools can engage and empower citizens, improving the relationship between local government and the community. Those are just some of the reasons we’re partnering with the Association of Washington Cities (AWC) to run the GIS Consortium, a service that increases Washington cities’ capacity to utilize GIS technology. The program leverages the collective buying power of AWC’s 281 members, making GIS tools available at an affordable rate. Since its launch in July 2016, 10 AWC city members have joined the consortium. We’re working with these cities across Washington to do GIS needs assessments and develop GIS implementation plans, make maps for comprehensive plan reviews, provide technical assistance for existing GIS programs, and build applications that integrate and visualize city data. 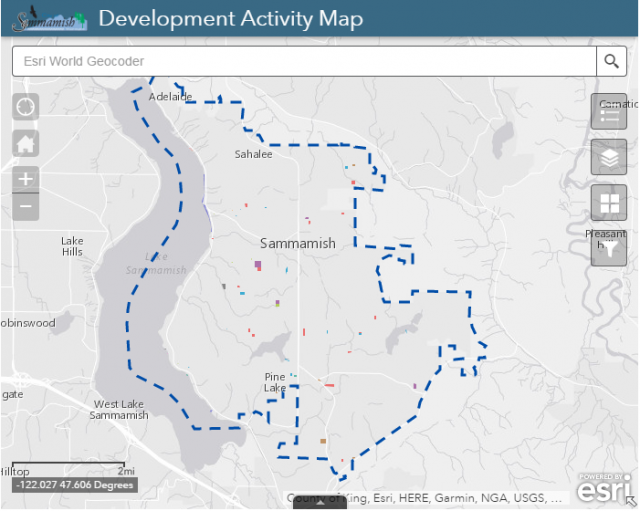 Recently, we worked with City of Sammamish to build a development activity map, a new eGov tool that improves transparency around development permitting. Hooking into Sammamish’s TRAKiT permitting system, we created a web map that automatically updates with a year’s worth of permit activity. The new eGov tool helps residents and Sammamish City staff see where in the city development is happening at a glance. Users can also access and interact with individual development permit information through the map, and easily find out who to get in touch with to learn more if they have concerns or questions. By providing easy access to important information, the development activity map cuts down on staff time responding to requests for information, and empowers the community. We call that a win-win! Click here to learn more about GIS for cities and our work with AWC. To see the City of Sammamish’s new development activity map, click here.